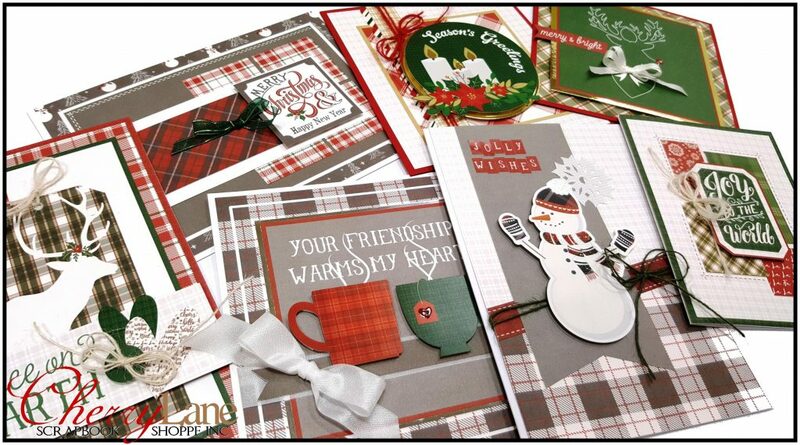 Plaid has been super hot this year, and PhotoPlay’s new Mad 4 Plaid Christmas collection has got it in spades! 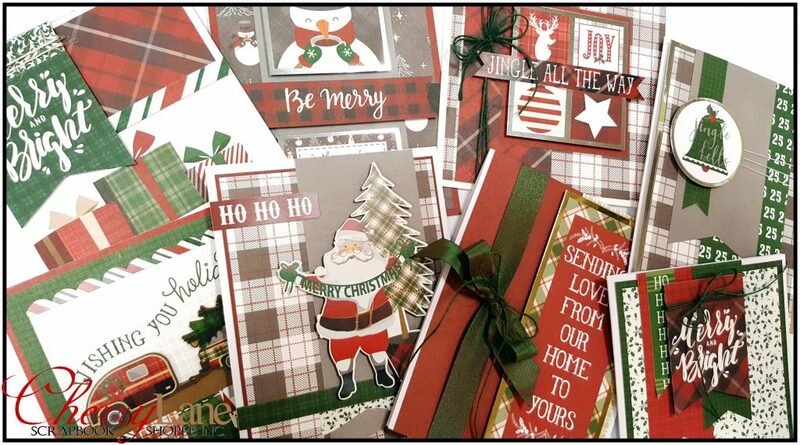 Join Leanne & create FIFTEEN rustic & warm cards with a bit of a nostalgic feel… Santa, deer, snowmen & more… there’s something for everyone on your holiday list! Your kit includes a full paper pack & sticker sheet, cardstock, foils & ribbons and there are TONS of leftovers to create even more! 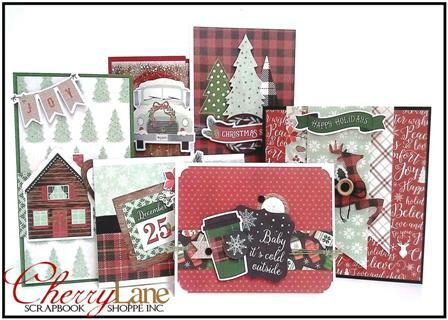 Nine cards are designed by PhotoPlay (and Leanne took creative license to add a little shimmer & shine! ), with six additional cards designed by Leanne. 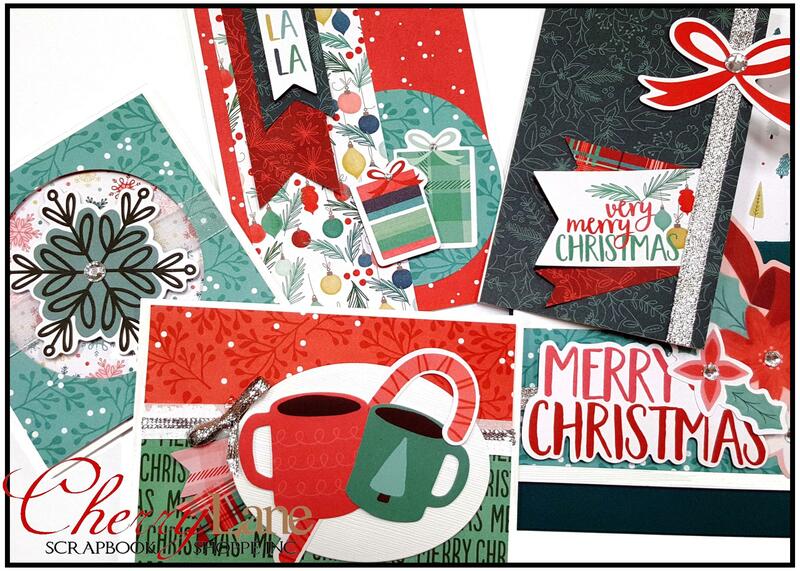 ‘Tis the season for card making, and the new My Mind’s Eye “Comfort & Joy” collection is the perfect fit! Join Amy and create six cards featuring a pallette of rich reds and regal greens with wood grain, plaid, a dash of floral, and festive imagery. 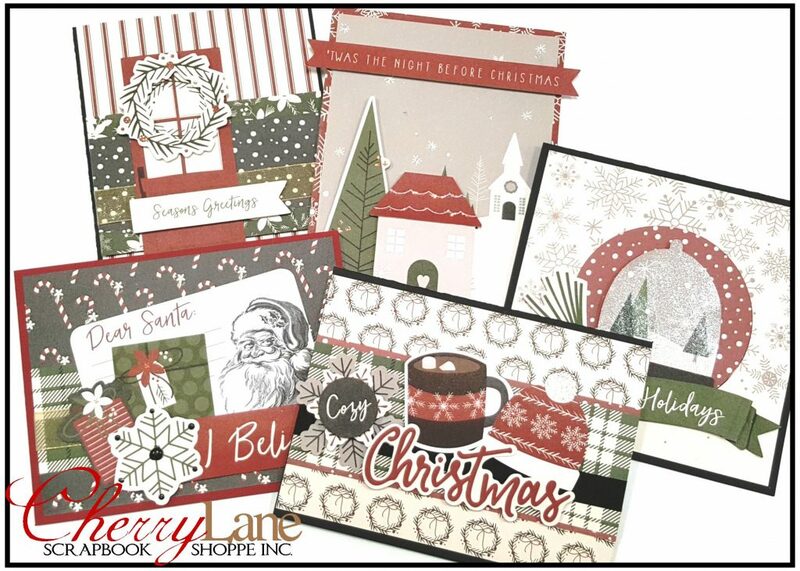 Spread some holiday joy with these warm & cozy Christmas cards! Your class kit includes 12 double-sided glittery 6×6 papers, more than 50 die cut pieces and coordinating ribbons and bling with LOTS of extras to create even more. 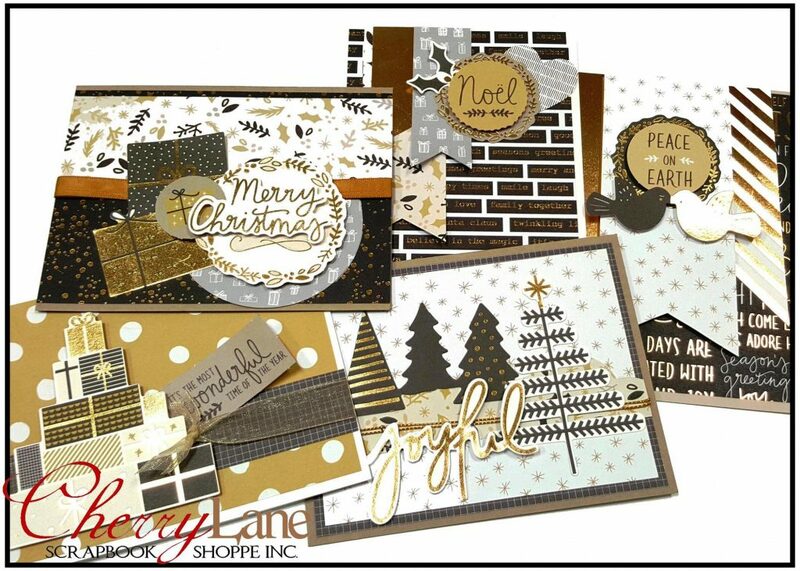 You are going to LOVE creating with this classic holiday collection! Call or come in to register today!